Through the Junkadelic Arts Collective, we are extremely passionate about bringing music and creative skill-building to the remote corners of Australia, with residences at the Salvage Katherine Festival of Junk Arts (NT, 2014), and Gascoyne in May Festival (WA, 2013) also highlights. Notable workshops include Kununurra NAIDOC Week (2018), Yalgoo Emu Cup (2013, 2015-17), and Kalamunda's Zig Zag Festival (2015-16, 2018). 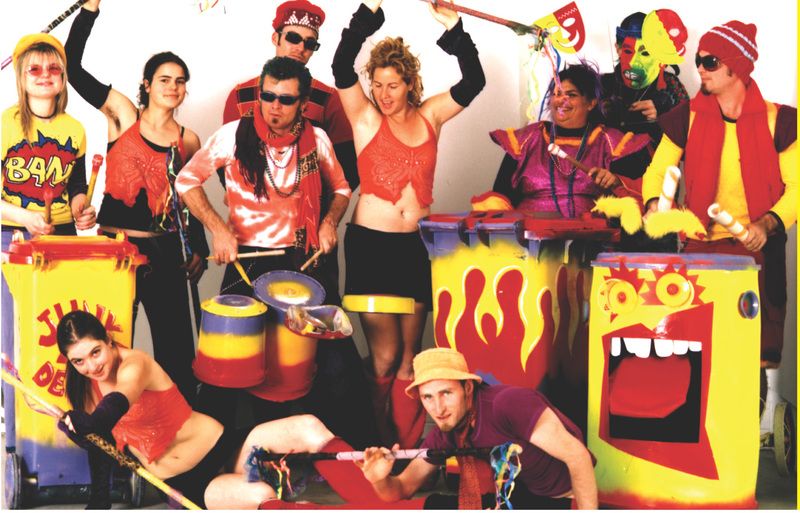 The Junkadelic Brass Band was founded in 2002, and was simply known as Junkadelic; a junk percussion group that performed at environmental street actions and social justice events, as well as other activist causes. 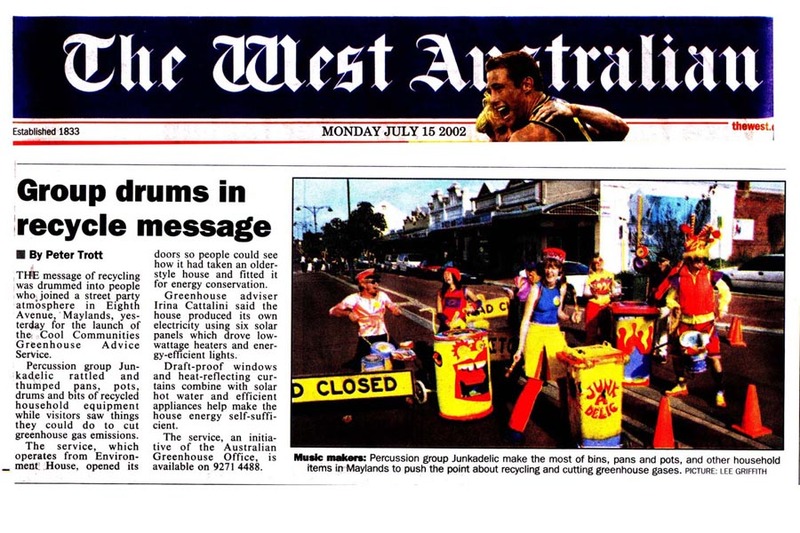 The group's first gig was the World Environment Day in Forrest Place (Perth CBD) in 2002. Junkadelic added a horn section in 2010 to become the stage-based funk band, the Junkadelic Brass Band, as it's known as today.